Joining Alexa’s cohort of interactive gaming skills next month is an Assassin’s Creed: Odyssey Alexa Skill, called The Spartan which features a new personality named Alexios. Alexios is one of the two characters users may play in Assassin’s Creed: Odyssey. This is the 3rd game to develop an Alexa skill specifically for in-game use. Destiny 2 and Call of Duty both launched similar skills earlier this year. In June, Amazon also announced a stand-alone version of Skyrim for Alexa. Alexios is available for use at home today and will be available for in-game use the same day as the full release of Assassin’s Creed: Odyssey on October 5th. The sirens lured another ship to its doom, Forty-five sailors died happily. The main differentiating factor between this Alexa in-game assistant and its predecessors is that Alexios can also be used at home, without playing Assassin’s Creed: Odyssey. Ubisoft’s partnership with Amazon gives the company the ability to reach non-gamers by tapping into Alexa’s large user base. As discovered by Voicebot’s Smart Speaker Consumer Adoption Report in January of 2018, more than half of smart speaker owners report at least trying a game on their device and nearly one-third say they use them monthly to play games. And some voice experts, like Micheal Fitzpatrick, COO and president of PullString, believe that gaming along with communication, and commerce will be one of the driving factors in smart speaker adoption. 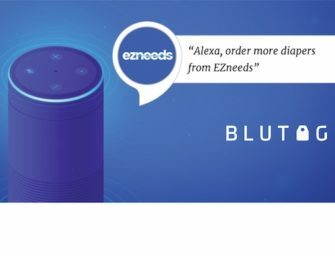 Amazon’s recent partnerships with well-known role playing games are further evidence that Amazon sees the potential of gaming as a way to increase user engagement of Alexa as well.